Number portability—the option to switch mobile phone operators without changing the number—and the threat or opportunity it presents to the telecom industry receded into the background last week. A combination of a price war and a contentious proposal by the Telecom Regulatory Authority of India, or Trai, sent telecom stocks reeling. By the end of the week, shares of India’s largest telecom firm Bharti Airtel Ltd, Reliance Communications Ltd and Idea Cellular Ltd had fallen fall by 21.4%, 22% and 15%, respectively. The telecom regulator had recommended that per-second billing be made mandatory for mobile operators so users pay only by the second. Following the adverse market reaction, Trai chairman J.S. Sarma clarified that the regulator was considering making per-second billing one of the options that operators would have to offer, and not the only option. “It’s one of the ideas that is being worked upon. It’s not as if any decision has been taken." Tata Teleservices Ltd’s Tata DoCoMo was the first operator to offer per-second billing nationally. Vodafone Essar Ltd launched a plan allowing users with a bonus card to call people in neighbouring states but not in the same regional circle at 50 paise per minute. Idea, too, has also highlighted a 50-paisa option as a key price point. Reliance was the first service provider to offer a flat rate of 50 paise for calls within India, national roaming and text messages across networks on a minute’s worth of talk time. Reliance’s stated objective is to offer a simple package to customers, but the new offer could be a key card when number portability is launched. “We believe post-paid subscribers are going to seriously look at the Simply Reliance plan, given that it’s just as simple as replacing a SIM (subscriber identification module) on an existing phone," said Mahesh Prasad, president, Reliance Communications. “This really paves the way for subscribers who have really not considered Reliance GSM." Bharti Airtel chairman and joint managing director Manoj Kohli said, “We believe that the new players have nothing but tariff to offer and new GSM players, including the crossover ones, do not have a viable or sustainable business model or business case. These tariff interventions will get traffic from customers but not revenue." GSM is short for global system for mobile communications, a technology platform for mobile telephony. Bharti Airtel offers its subscribers intra-network tariffs at as low as 30 paise per minute. 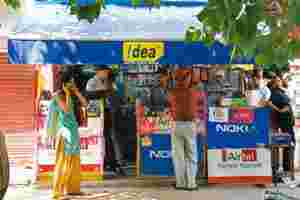 Idea has announced its decision to take the per-second billing model to Rajasthan, a market where rival Tata DoCoMo is not present yet. “This will probably result in a price war because every time somebody reduces prices, the competition also does the same thing because there aren’t very clear differentiators today," said Romal Shetty, executive director at audit and consulting firm KPMG. “Until a particular operator comes up with differentiated service offerings or customer service, price wars will continue." Storyboard airs tonight at 7.30 on CNBC TV18.